Wagh Bakri Tea Group is a Premium Tea Company with a leading stride in tea exports and retail consumers all over the world. 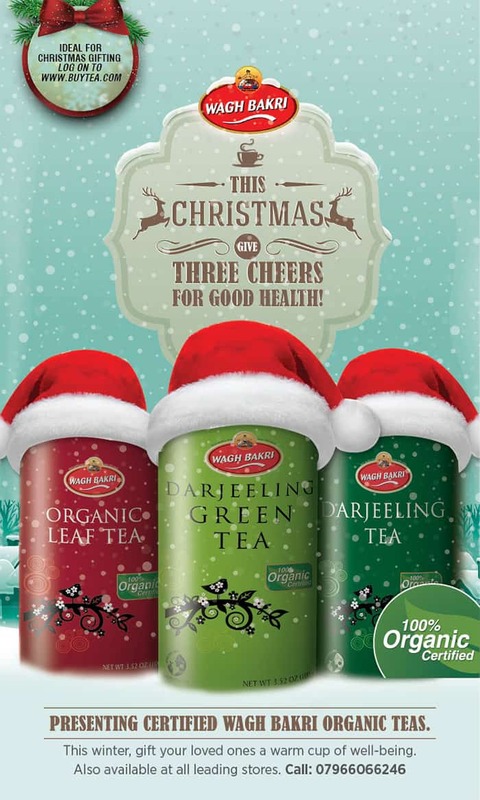 It is the third largest packaged tea company in India and over the years has emerged as a truly global brand. Starting out with 500 acres of a tea estate, owner of tea garden in South Africa, Narandas Desai in 1892 was forced to return to India due to racial discrimination. He is said to have returned to India with a few valuables and blessings from Mahatma Gandhi post which he started Tea Company in the same year (1892) named Gujarat Tea Depot Co. It was after working briefly at a tea estate in Mahabaleshwar, Maharashtra, Desai applied his knowledge of the trade to start the Gujarat Tea Depot Co shop in Ahmedabad to sell processed tea in 1915. In 1934, the Wagh Bakri brand was born. The brand name being Wagh Bakri, consumers from other regions of India faced difficulty in understanding it. However, the concept and the logo generated enormous curiosity while the aroma and taste proved a success for this brand. The company was launched in 1892 by a Gujarati businessman Narandas Desai, who had a passion for tea. From 1998 to 2003, Wagh Bakri was known by the name Gujarat Tea Processors & Packers Ltd. The brand Wagh Bakri was launched in the year 1934. The logo of the brand has a Wagh (the tiger) that represents the upper class and Bakri(the goat) that represents the lower class, drinking tea from the same cup. It probably appealed to the sensibilities of that time. The brand has extended its presence in Karnataka, Rajasthan, Andhra Pradesh, Goa, Delhi, Hyderabad, Madhya Pradesh, and Maharashtra and is now trying to branch out to all regions possible. #Wagh Bakri’s marketing strategy and Interesting Reasons behind its Grand Success. Waghbakri operates on a very simple formula which is to understand the local tastes and offer exactly what they want by adapting to the changing needs of its consumers. One of the reasons behind its success lies in being progressive and leading from the front; Changing with the times and reacting faster and better to the behavioral changes in the people has always helped them in staying in the game and doing well. Wagh Bakri’s product range has been economically priced and prices are not revised/ increased based on market dynamics such as a change in procurement price, tax structure or any other factors that increase operations. Despite all this, it always maintains its quality and hence has loyal followers. Recently the Wagh Bakri group had plans to foray into the European market of Germany, Belgium, and the Netherlands with the help of some innovative marketing strategies. The company has roped in Lian Brouwer, a student from the Netherlands to study these markets and help Wagh Bakri in launching its products into these countries. As per the Wagh Bakri team’s research, People in these countries are said to be shifting towards organic, health drinks. Hence this is seen as an opportunity to launch green tea and other variants of tea in the markets. And as they have always played, this time too, they prefer to learn about their consumer choices before launching their products. And hence have invited Brouwer so as to learn about the European Union (EU) through a detailed study of these markets. To move with the changing times, they have started a chain of tea lounges in India so that there is a common meeting ground for the tea lovers and also that they can further popularize tea as a preferred beverage. Mili Tea – is the one more popular among the SEC B & C categories, predominately the homemakers. Navchetan Tea – caters to the economy segment and is positioned against non-branded tea. Good Morning Tea, the flagship brand in the Wagh Bakri Group was first released in 1944 and it remains to be their best seller and a national favorite. In 2011 a Good Morning Tea advertisement was aired which showed a couple making their morning cuppa in a smooth dance in synchronized movements. It showed them dancing with their eyes closed and the couple waking up only when they sip the tea. Wagh Bakri Tea has had quite a few ads. Usually all of their ads points at keeping up relationships. Their ad in year 2015 won the ‘Best Ad Film’ at the 5th Dada Saheb Phalke Award for its four-minute long film titled ‘Rishton Ki Garmahat’. The film showcased that in a time when we all are so absorbed in our work lives, our relationships often suffer. And hence in the film it looked at mending relationship using an emotional route. This one was the most liked and appreciated one by the audience. In 2018 recently, they released their campaign with the tagline ‘Rishton Ka Fever’. The film showcases a typical North Indian joint family with values both Modern and traditional imbibed. It showcases the story of a young Punjabi boy Sunny, who’s returning after years of staying abroad. His time outside has alienated him to the warmth of the Indian culture. He addresses all his near and dear ones just with a ‘Hi’ instead of a warm hug or proper affection. So sunny’s granny is seen teaching her grandson that ‘Hamare yahan rishte Hi se nahi, chai se bante hain’’ (In our culture, everlasting relations are created over a cup of tea, not Hi). The film ends with a hashtag to remind the masses #HiNahiChaiPilao. Mili Tea, Wagh Bakri’s Premium economy brand has its ad saying Piyoge jab toh janoge (You will know only when you try it) was released around January 2018. The ad begins with a female consumer walking into a local store and calling for the grocer asking for a packet of tea and to her surprise, is offered a freshly brewed cup of tea instead of the pack. She is addressed by the celebrity Sakshi Tanwar (who plays the role of a ‘local shop owner’). In her Haryanvi accent, Tanwar confidently advises her to sample the tea as an exercise to prove its superior flavor, before mentioning its reasonable price. Navchetan Tea is the economy brand under the Wagh Bakri Tea Group. It is considered a good blend in comparison to local tea brands. Wagh Bakri also has other Tea types like Spiced Tea, Ice Tea, and Instant Tea under it. The story of Wagh Bakri Tea Group has found its way into Philip Kotler’s 14th edition of marketing management book (his book kind of are the bible of Marketing Students) as a case study. In order to make Tea a common denominator that overrides differences of caste, creed, culture or color, the Wagh Bakri team came out with the logo of a Tiger and a Goat drinking Tea from the same cup. The logo and the message have also found a mention in Kotler’s book. Waghbakri tea is a market leader in Gujarat. This brand is now trying to go all national and has extended its presence in Karnataka, Rajasthan, Andhra Pradesh, Goa, Delhi, Hyderabad, Madhya Pradesh, and Maharashtra. It is now set to take on its MNC rival – Hindustan Unilever (HUL). Hence we can say Wagh Bakri is all set to grow and script their success story in their own unique way.